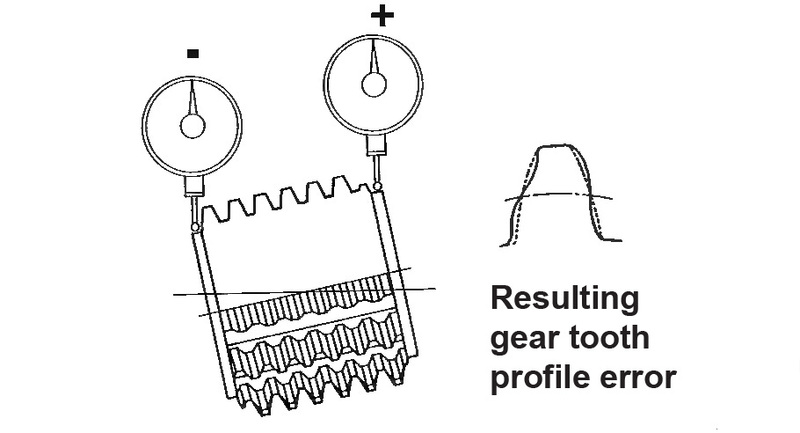 The importance of using a precisely mounted hob is critical to achieve high quality gears. The machine cutter spindle and arbor support systems should run true within 2 to 4 µm, 0.00008″ to 0.00015″. The hob arbor must also maintain similar tolerances. When the cutter is mounted in the machine, care must be taken to clean all surfaces of oil and contamination. There are three ways in which the hob can have runout. Figure 1 shows runout parallel to the axis of hob rotation. Approximately 1/3 of the runout will be transferred to the work piece for a 20 degree pressure angle. 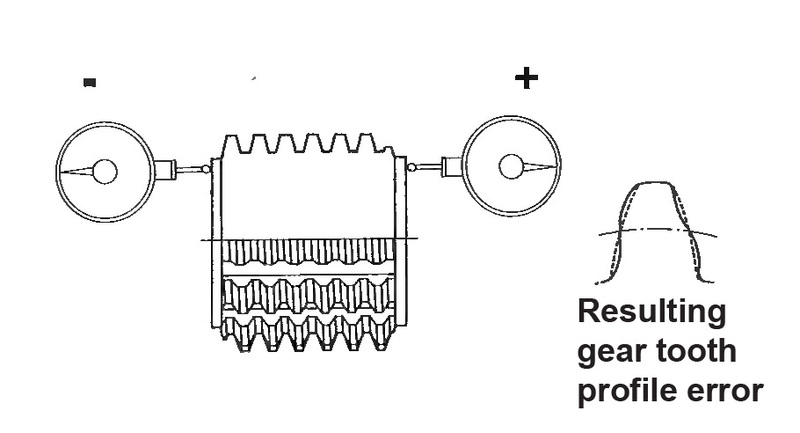 Figure 2 depicts runout with a wobble condition. The error will increase as the distance between the cutting zone and the center point of the wobble increases. 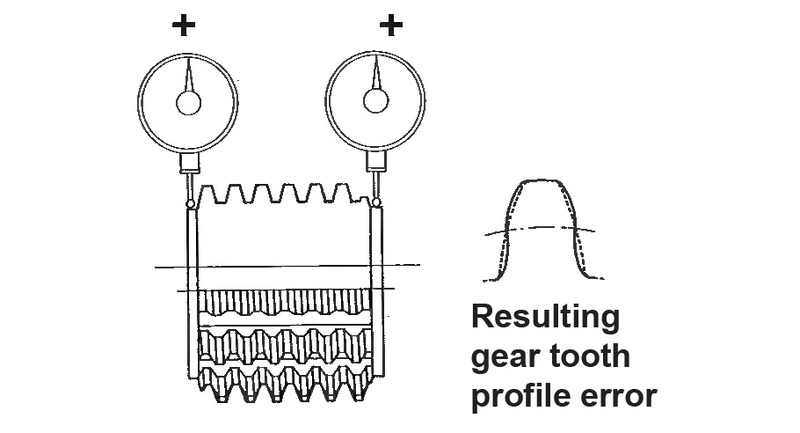 Figure 3 shows a hob with face runout. The error will be constant at any point across the face of the hob.